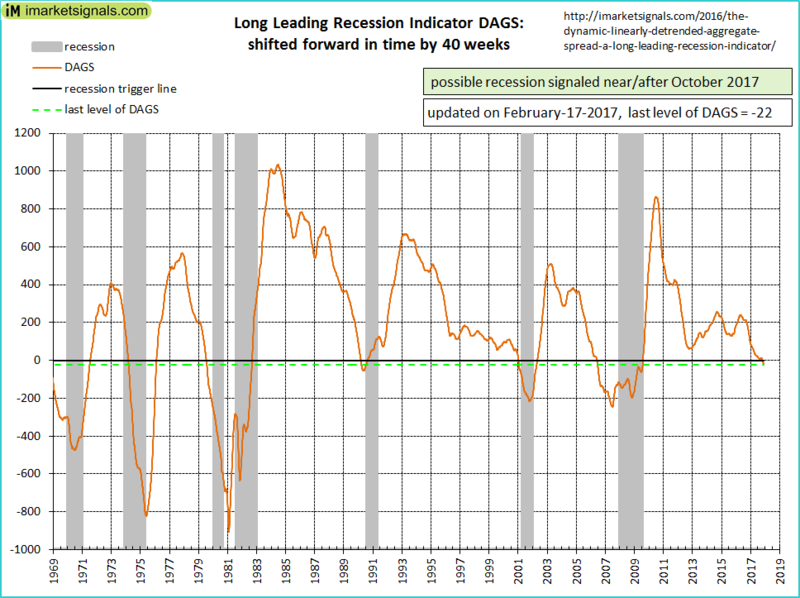 On January 20, 2017, our long leading recession indicator DAGS signaled an oncoming recession near/after October 2017. Based on past history a recession could start at the earliest in 6 months, but not later than 28 months from now. 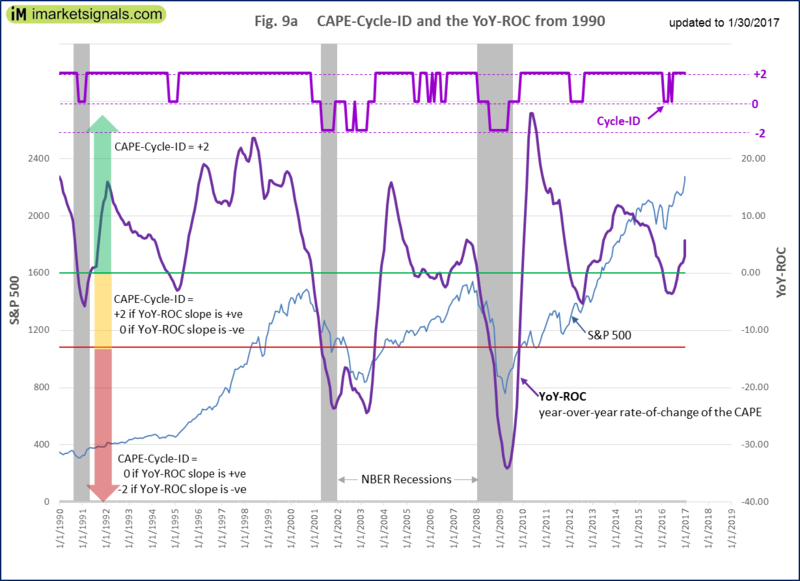 The average lead time to previous recessions provided by DAGS was 15 months. 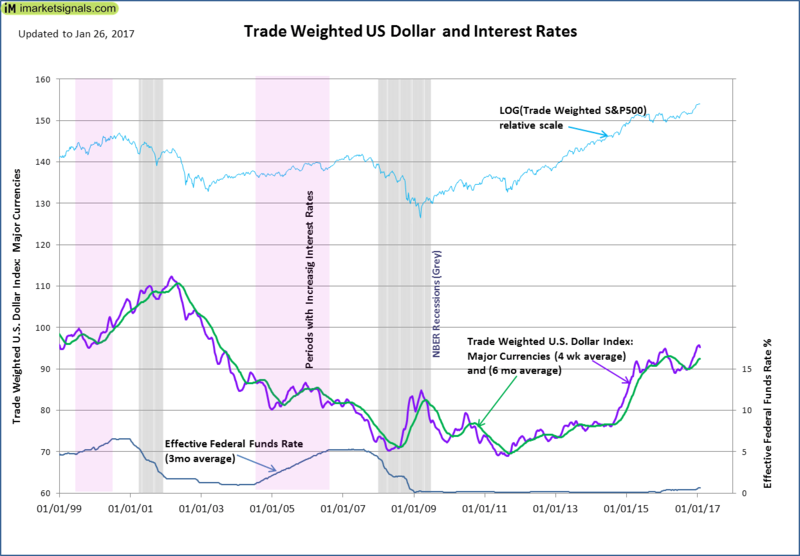 UPDATE 2/17/2017 The updated level of this indicator, -22 bps, confirms the January 20 signal. 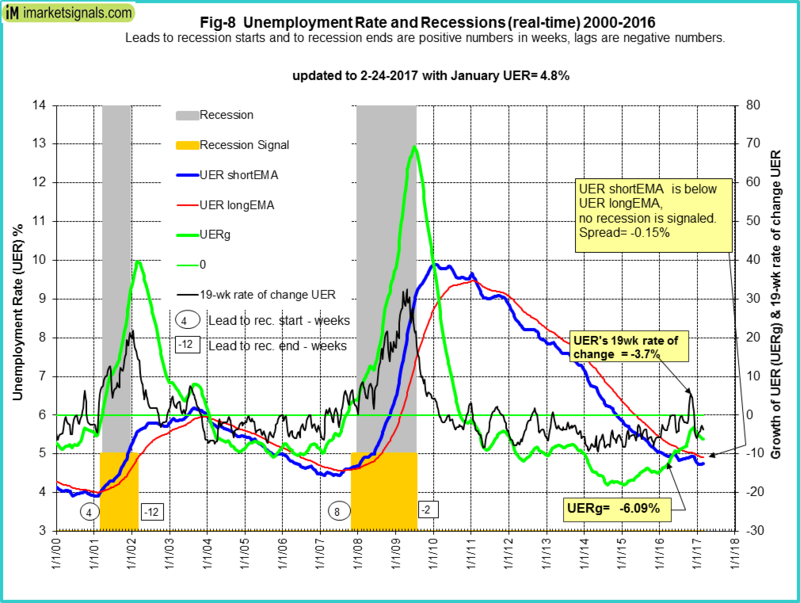 Based on past history a recession could start at the earliest in Aug-2017, but not later than May-2019. The average lead time to previous recessions provided by DAGS was 15 months which would indicate a recession start for April 2018. 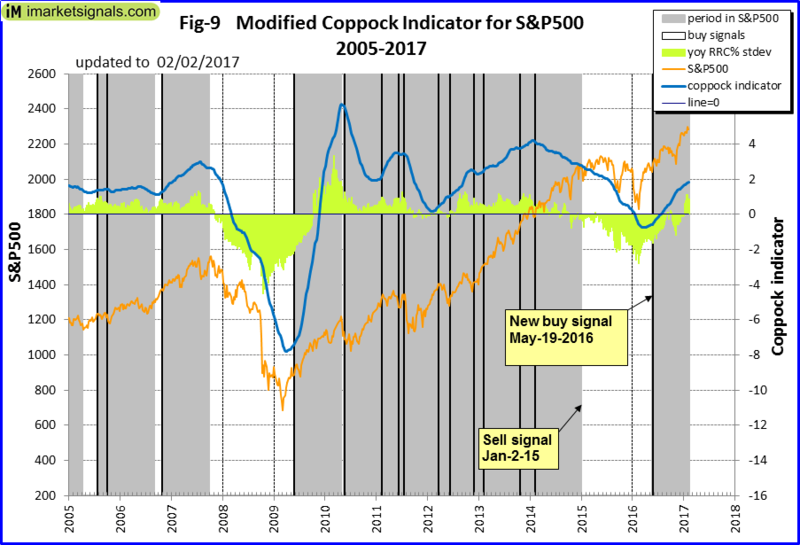 The Coppock indicator for the S&P500 generated a buy signal on May 19, 2016. This model is now in the market. This indicator is described here. The rise of the TW$ value seems to be halted for now, the 6 month moving average is increasing. 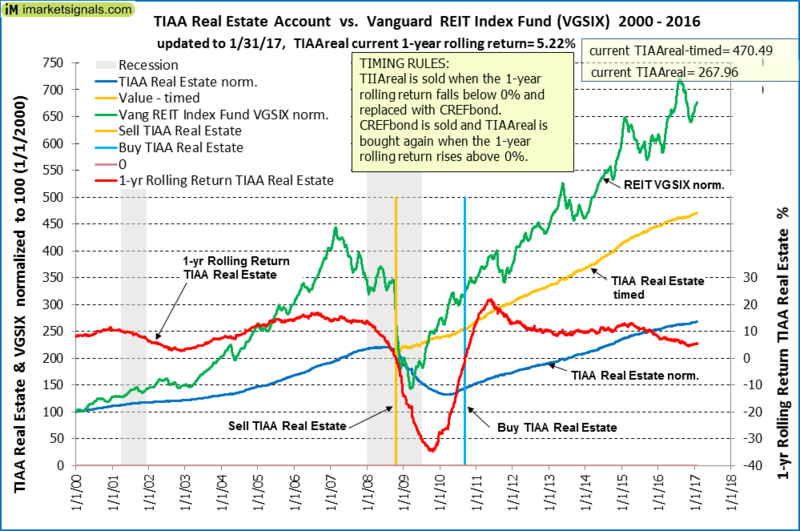 The 1-year rolling return for the end of last month is 5.20%. A sell signal is not imminent.